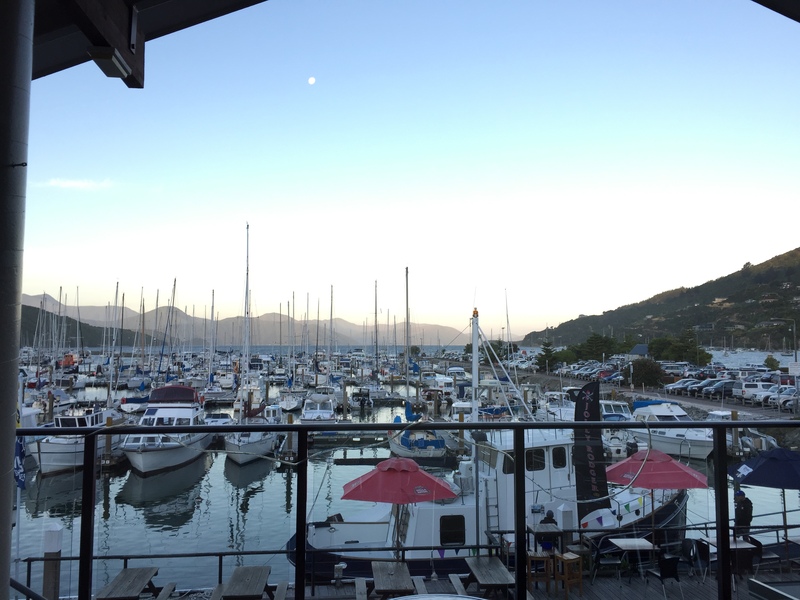 We saw some crazy boating manoeuvres over our summer holidays in the Marlborough Sounds. It seems that many people really have no idea what they are doing when they get behind the wheel of their boat and set out for adventures on the water! However even if you cockily think you are an expert, accidents still happen which can take you and your confidence down a peg or two! How do I know? Well I feel extremely well qualified to write this post as I have looked like an idiot in the marina on more than one occasion, and have observed many other people also making idiots out of themselves too. Let me also tell you that it is much worse when there is an audience watching. 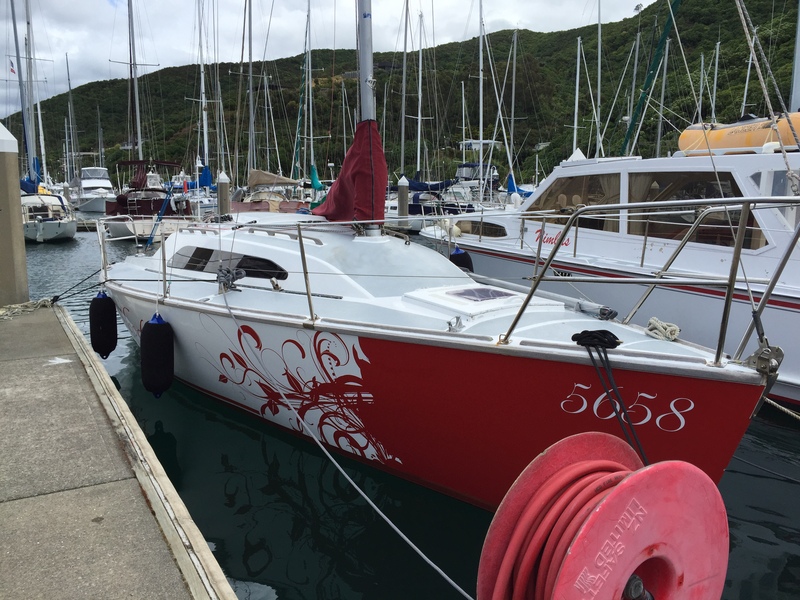 We were in Waikawa marina – strong northerly blowing which meant we had to reverse out of the marina berth in to the wind. The gap between the marina fingers wasn’t very wide… so I reversed out as far over to the boats on the next finger as I dared, however in between going backwards and then going forwards again, the wind caught our side, I wasn’t going fast enough and we were blown broadside on to the boats and marina poles from where we had just exited… this resulted in Andrew drawing blood on his leg trying to avert disaster, Wildy got a few scratches on her gorgeous new wrap job and I was humiliated and am now allergic to going in and out of marina’s. Lesson: grow some balls and go a bit faster to get some control in these tight situations. Read up on how to make better use of springs to get us in and out of the berth. Pacific Seacraft recently posted some cool pics on Facebook of some ways to get in and out of Marina berths and I am going to read up on these! Thankfully it wasn’t me being the idiot this time, but this occurred in the same marina the year before. 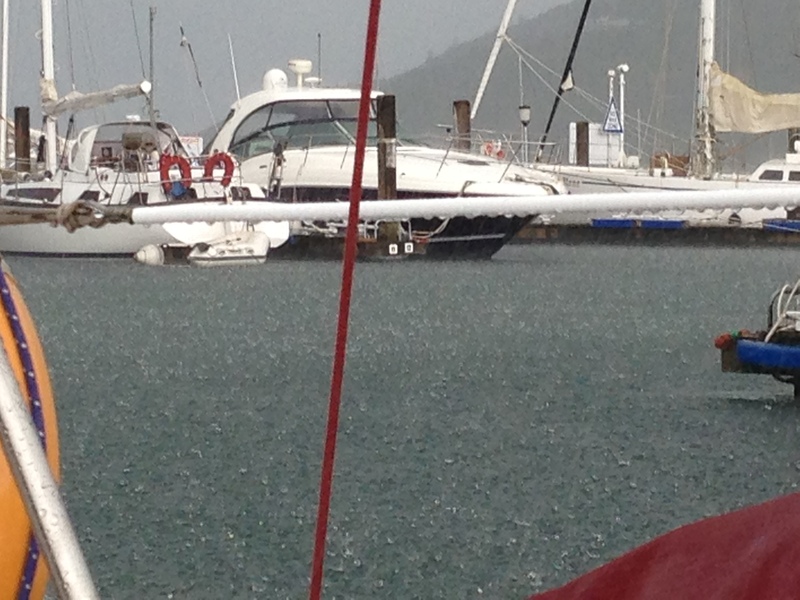 There was a huge storm, and we were well and truly tucked up in the marina waiting it all out. The next thing we saw was a big 45′ yacht come flying in to the marina and was attempting to park in their berth. We were out and jacketed up so ran down to where they were coming in and offered to help “throw us a line!” we hollered over the howling gale. Well they didn’t have any lines attached to throw for us to catch and try to help them in to their berth. Instead the crew stood there watching while they were blown back on to the boat behind and they squashed in to the dinghy hanging on the davits behind and popped it! Wow that was a loud bang and those people looked like real idiots, especially as the dinghy that was popped belonged to the boat behind. Lesson: Check the forecast! If it is going to be crap and you want to come back to the marina try and do it before it gets to mid storm! Tie lines and fenders on all over the boat to be ready for any scenario that might eventuate when you come in to the marina. You don’t have time to change them over if the plan changes mid way through entry. Me again… coming in to the jetty at the yacht club to drop some people off and getting stuck on ‘grannies rock’ which is on one side of the floating jetty. This meant that I had to eventually be towed off by a halyard – hauling the boat over to one side and one of the club rescue boats dragging us out. HIGHLY embarrassing and there is photographic evidence of this somewhere and I hope no one ever tries to blackmail me with it. 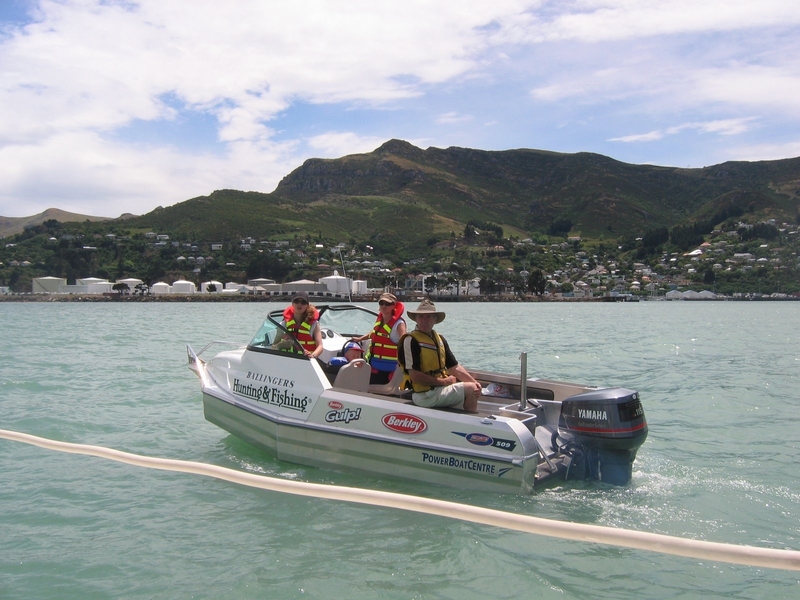 Lesson: check the local conditions and the tide before manoeuvring your boat in shallow places! Lesson: Always take the keys, hold on to the boat’s painter when you are launching it and have a paddle on board for such emergencies! Just me again. Middle of winter – barely above freezing. I am about 8 months pregnant and am going out to check on the boat. I scramble awkwardly in to my dinghy and am about 5 metres from the boat ramp when the propellor gets wrapped around a fishing net which is somehow attached to the seabed. Lesson: always carry a knife! It was at this stage that Andrew felt quite justified stepping aside and very nearly letting this idiot fill his petrol powered outboard up with diesel. Lesson: There is no cure for real idiots – best to let these ones learn their lesson the hard way. How many times have you launched your trailer boat at the boat ramp and forgotten to put the bungs in? Well I can assure you that this has happened to me on more than one occasion. Even better though is when you see people trying to launch their boats without having removed the tie downs securing the back of the boat on to the trailer. This one is quite hilarious to watch! Also people who can’t reverse trailers trying to get in and out of tight spaces. Marriages are either made or broken at boat ramps…! Lesson: put the bungs in, take the tie downs off, teach your wife to either drive the boat or reverse the trailer and don’t what ever you do shout at her! So there you have it! A confession of sorts of the stupid things I have done, been involved in or witnessed in marina’s. My friend Mark also has some hilarious examples of terrible mistakes people have made on boats, on his blog Cygnus III. Do you have any good scenario’s to add? Please comment below. I would love to hear that I am not the only one with marinaphobia! ← Can’t stand the heat? Stay out of the sun! This is so true. We once spent a long weekend at a transient dock across from the boat ramp. People pay good money for less entertainment than we enjoyed. I try to be charitable. Because most days: you get to watch the show. But some days, no matter how careful you are, no matter how well you plan, some days: you ARE the show. Great advice! Nothing like having some good karma on your side! Putting us on any kind of boat is a mistake. Do something once and it may be an accident, do it twice and you are an idiot. I am an idiot but in my defence we did go to take the lines of a boat coming in to help them. The lady on the boat had a nice coiled rope ready to throw. “Throw it now” I said. She duly threw the line which I caught. I think this would have been fine if she had attached the line to the boat first. Anyway, I was on board waiting for the norwest to turn South (was forgast 45 for 3 days! So I wasn’t going to hang around to see it). The wind turned in a nano second, so I didnt even get a window. So I rigged up a line on the bow to the Starbard side. Thinking “this will work, I’ll drop all the main lines and pay out my new one from the cockpit. It worked great in theory until I was out of the berth and a wave washed over the bow and pointed the nose in the wrong direction. I was Marina locked so to speak… No where to go except disaster. By this stage I’d let all of the line out, so totally free! I put the hammer down, nosed back into the berth to get the wind on the starboard side. Dropped back again and away I went! Oops hit reply too quickly! Which reminds me… Proceed slowly into danger is my motto and am not afraid to ‘take two’ if it looks like I’ve stuffed up my first attempt at coming in. I’d rather that than ramming into the jetty! But as someone else said, you are either telling fibs or not doing much sailing if you haven’t had a mishap coming in or out of a berth! Yes I imagine a wide catamaran would be even more complicated to drive in small spaces! At least the cats are manoeuvrable with 2 engines! I bet that takes some practice too! Recognise all scenarious. If might add one – is when large motor boats think they are following the marina 3 knot speed restriction, by reducing speed from 20+ kn to 3, just when passing the marina entrence. Everytime they, and the rest of the poor mooring holders experience a mini tsunami. Especially annoying with displacement motor yachts. Can totally relate to that! I wonder if they have any idea about the havoc their wake leaves behind them?! This was hilarious! And I think any sailor/boater can relate. Had a hell of a time leaving our berth in Whittier this summer, in 35 knots of wind… Fortunately no one and nothing was hurt 🙂 It’s true what you say about not being shy with the throttle in those conditions! Eeek 35kts would have been challenging, I remember reading your post about that one! Yes, definitely something to be avoided! Great post and blog site. When we see a boat with their fenders still on, we say they’ve got their stupid-flags up, as in “I’m Stupid!” Speaking of which, don’t forget about driving out of the slip with one dock line still attached. Been there, done that, threw away the t-shirt. Glad you liked my head games post!